For the first time on CD, the complete album as recorded in 1977 with Lal, Mike and Norma Waterson and Martin Carthy. Remastered for outstanding sound quality and presented in a redesigned digipack. 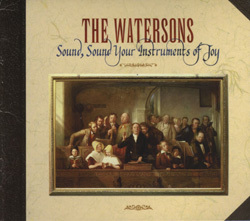 On this record The Watersons give us a panorama of sacred song â€“ from the deep folklore of wassail songs and vernacular carols, through various folky kinds of meeting-house hymn, and on to exuberant camp meeting pieces â€“ folk songs, or near folk songs that we have lost or that have become unfamiliar â€“ but all worth restoring to life.